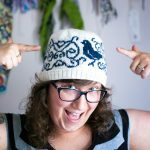 When I saw this set of 4 Seasons Winter amigurumi patterns on Ravelry, I squeed with joy! lalylala designs very whimsical, unique amigurumi patterns that I adore and these are no exception. 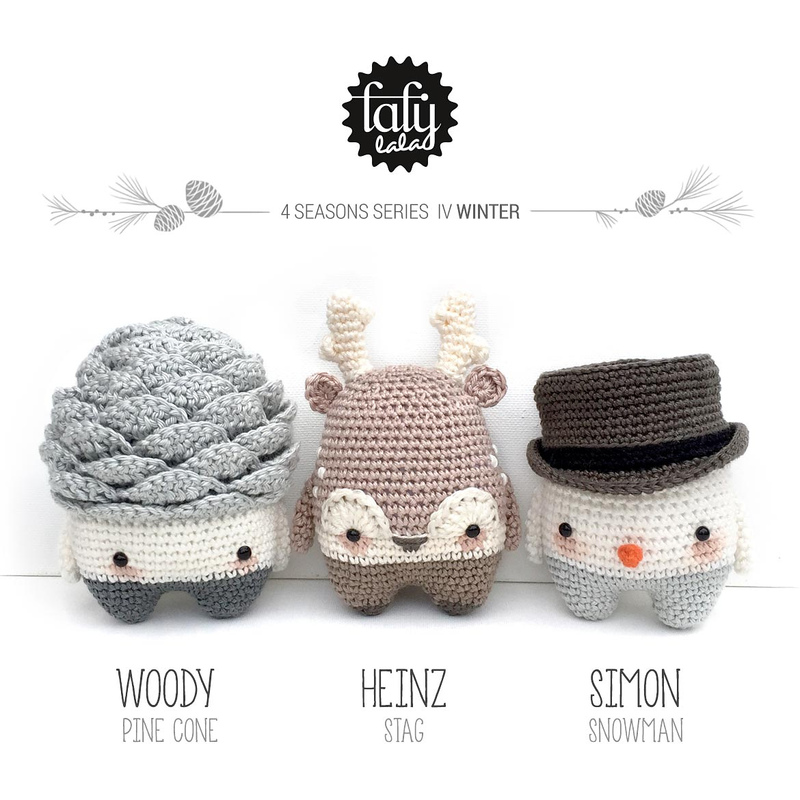 My favorite amigurumi of the set is Heinz the stag, but the pine cone and snowman are equally adorable. Something that draws my eye to these amigurumis beyond their cute little faces is the shine on cotton yarn. They are crocheted with Catania from Schachenmayr. I’ve never used this yarn but I’m definitely tempted to add it to my ridiculous stash now. Check out lalylala’s blog for more patterns, whimsical illustrations, and other inspirations!